Product Packaging plays a very crucial role in the consumer’s buying decision. Packaging provides the outer look and feel to a product. Whenever a consumer go to a market to buy something, he may judge the product initially by its packaging only. Even when an importer plans to buy products, he usually ask for samples and product packaging description before finalizing the deal. So the packaging of the product is always a factor to count upon, no matter whether a consumer is buying a product for his own household requirements or whether a distributor is buying the products for resale. Primary Packaging: Primary packaging is related to the packing of each individual unit of a product. It is the packaging that an end user is going to get. For example, the outer cover of a soup. Primary packaging have the largest effect on the consumer’s buying decision or on the sales of a product. So it should be the best. Secondary Packaging: The other name that we can use for secondary packaging is group packaging. This type of packaging is use to pack a group of same product. For example, the set of 6 KitKat Chocolate. These packaging are considered by the bulk buyers or buyers who buy a group of the product and not a single unit. 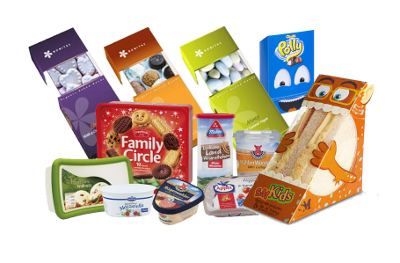 Tertiary Packaging: It is the product packaging that is being done in order to transport the product safely over the longer distances. Tertiary packaging is the done by the manufacturer to export the large number of product units or to sell the product to the distributors. The main purpose of these packaging is to ensure easy and safe transportation of the products. Eye catcher: The packaging of a product often act as the eye catcher. If the outer cover or the packaging of a product is very innovative and unique, you will get attracted towards the product. The consumer may think that the product is looking very promising from the packaging, so it worth trying it once. Though changes in the packaging and innovations in the design, often help in increasing the sale of the product but while designing or selecting a new packaging for your product be sure that the identity of your product or brand don’t get lost. 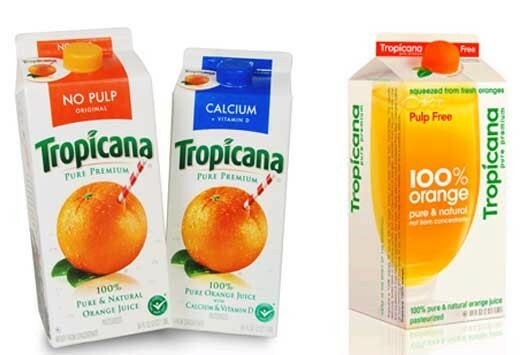 For example, the Tropicana , a juice brand, changed the packaging of its orange juice in 2009 which resulted in the 19% reduction in the sale of the product. This happened because though the new packaging was very innovative but it was so different from the earlier packaging, that the consumers fail to recognize the brand. Adds functionality: A good packaging can add functionality to a product. The packaging of a product can make it easy for the consumer to use it. It gives competitive advantage over the similar products. 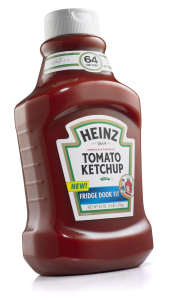 For example: Heinz, a ketchup brand, launched the Fridge door fit bottle in 2006. The new and easy to handle bottle helped increasing the sale of the ketchup by 68%. The main reason for this increase was the new packaging, which was easy to use and comfortable to store. Communication: Communicating the features and other information about the product is also an essential role played by the packaging of a product. The packaging must communicate all the required details about the product including the benefits of the product, ingredients, date of manufacturing, MRP , details of the manufacturer, etc. Sometime even the complete information and right placing of the information on the product packaging help in increasing the sale of a product. For example: Mesclun salad, a ready-made salad brand, have change the position of the details present on the packaging and this resulted in increasing the sale of the salad by 15%. A study is being conducted which is known as the ‘Eye Tracking study’. 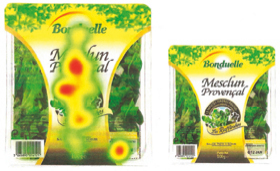 In this study, it is being concluded that the product details should be written in that portion of the packaging where the consumer’s eyes will go first. Preservation and Protection: The prime use of the packaging is to preserve and protect the products until they reach the end consumer. The preservation is necessary to ensure that the quality of the product is maintained and the product is perfect to use. Better packaging techniques can also help in increasing the sales of the product. For example, the sale of many beverage and dairy companies have increased because they have adopted Tetra paks as the packaging technique. The user feel secure while buying the beverage or any other product packed in Tetra pak because he trust the packaging technique. Tetra Pak is a trusted Packaging technique. Product packaging serves all the above mention function. As a buyer, you should be very particular about the product packaging as it is going to impact the over all sale of the product. If you are planing to import products, always ask for the samples from the suppliers so that you can have the complete idea about the look and size of the product and you can also decide whether the products worth buying or not. The images used in this blog’s posts are found from different sources all over the Internet, and are assumed to be in public domain and are displayed under the fair use principle. We provide information on the image’s source and author whenever possible, and we will link back to the owner’s website wherever applicable. If the original owner or owners of any image found on blog would like an image removed, please send us a message using our feedback form indicating this and the image will be completely removed.